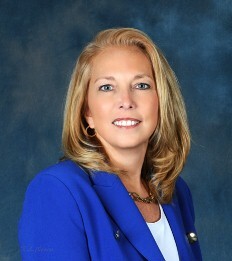 A native of Kalamazoo County, Michigan, Shelly Pattison got her real estate license in 1991. Shelly actually started her career in the title insurance industry in 1979. From there she moved to managing Bosch Realtors, got her real estate license and became an owner of Bosch Realtors which then merged and joined forces with REMAX Advantage in 2002. Representing both Buyers and Sellers, Shelly has complete knowledge of all aspects of the residential real estate field and can bring your sale to a close with ease. Shelly specializes in all areas of residential real estate, and is designated as an Accredited Buyer Representative (ABR), Short Sale and Foreclosure Resource (SFR), Green Resource Council (GREEN) and in the process of completing courses which will designate her as an Associate Broker through the Graduate Real Estate Institute (GRI). She has recently become a CCIM (Certified Commercial Investment Member) Candidate. Community involvements include 2013 President of the Greater Kalamazoo Association of Realtors, 2006-2012 Board of Director for the Greater Kalamazoo Association of Realtors as well as a Director Liaison of the Commercial Committee of The Greater Kalamazoo Association of Realtors. She is a resident member of St. John Bosco Parish in Mattawan, Michigan and a volunteer for Habitat for Humanity, Kalamazoo Gospel Mission and Children's Miracle Network. Prestigious honors include: REMAX Hall of Fame, REMAX 100% Club, REMAX President's Club and REMAX Executive Club. Start your home buying/selling experience today with a Realtor you can trust. Let Shelly Pattison put her knowledge and expertise to work for you.